The Xyron DT is posting some really cute projects that were made with Maya Road products this week and today is my day to share! I made three things to share, and for one I have a tutorial. I’ll save that one for last. If you don’t know anything about Maya Road, you should check them out. 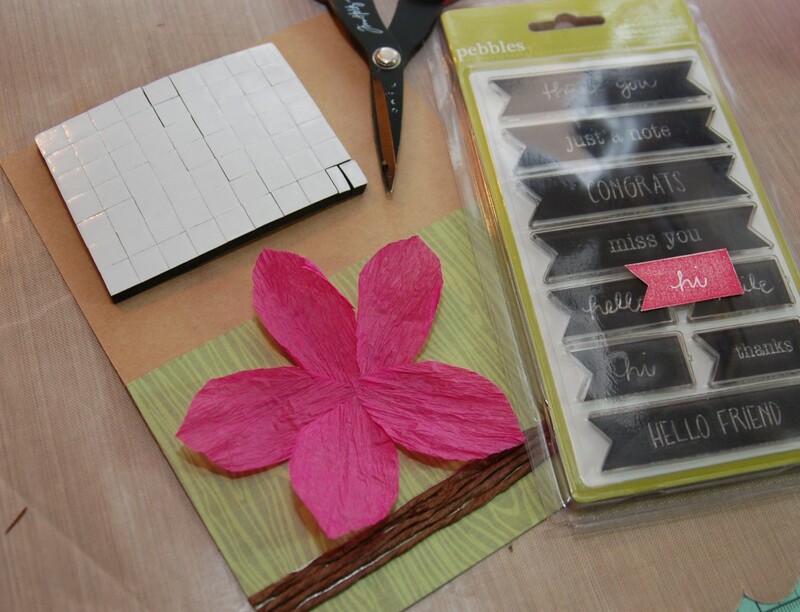 They have gorgeous trims, chipboard, stamps, embellishments…the list goes on. 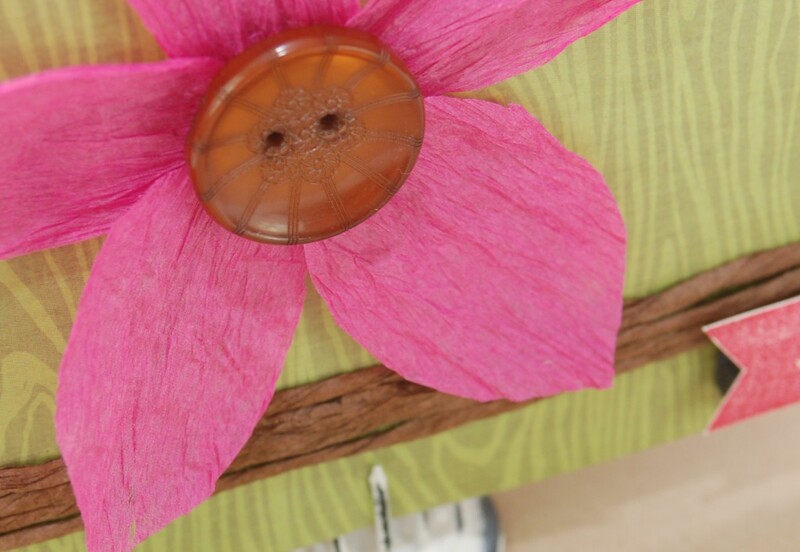 Everything they make is great on an altered item, layout or card and is also really affordable. They’ve been one of my favorite companies to buy from for years. 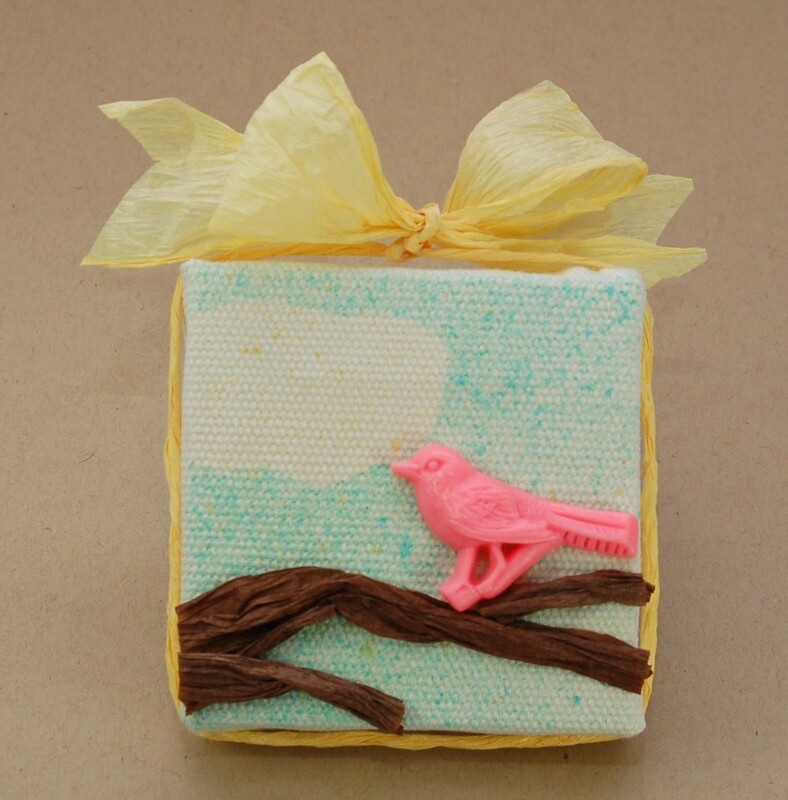 This is a little canvas that I had in my stash and I decided that it would be fun to make a little project that would look cute in my guest room out of it and the Maya Road paper twine cording and this little resin bird embellishment. I made a little cloud out of paper first that I ran through my Xyron 3″ Sticker Maker, then I misted in blue. After I took the sticker off I misted in golden yellow. 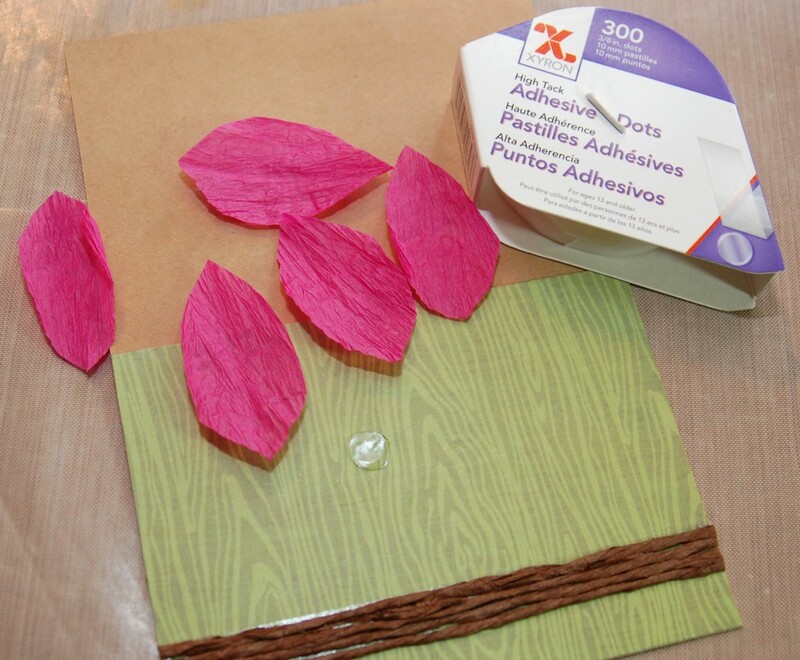 I unwound some of the paper twine cording and formed branches out of it, and I attached them with Xyron Adhesive dots and trimmed any edges that hung over. I attached the bird in place with more dots and then tied some more twine around the whole canvas and made a bow on top. For this I used a Maya Road tin for the base. 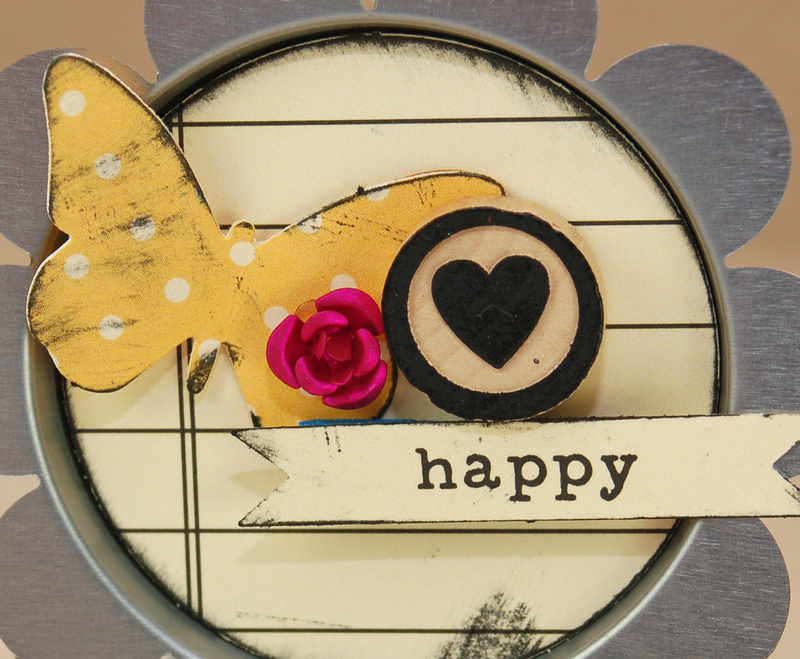 First I added some Xyron magnet tape to the back (now it’s a faboo magnet), and then I inked some old school October Afternoon paper pieces to use as embellishments. (You could also use punches or die-cuts). The background piece is attached with some of my home-made foam adhesive, and everything else is attached with Xyron Adhesive Dots. 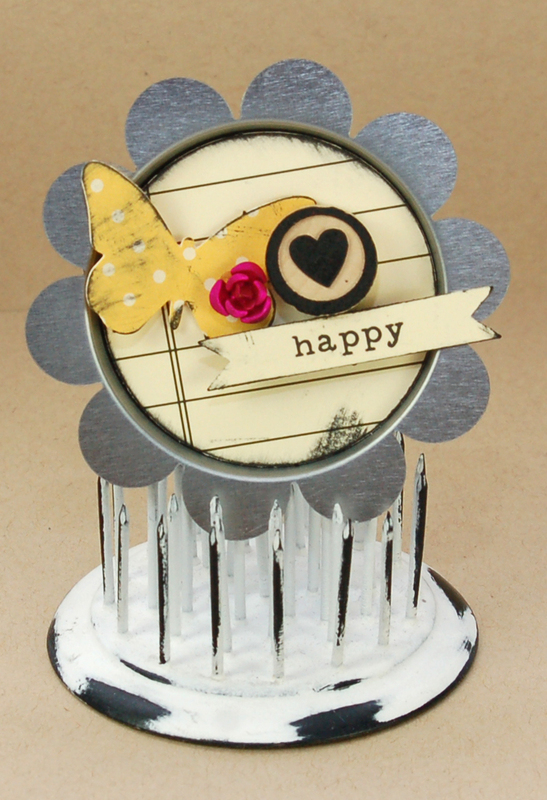 How cute is that little Maya Road Antique Metal Rose? I love it! Easy peasy and it’s hanging on my bulletin board right now. 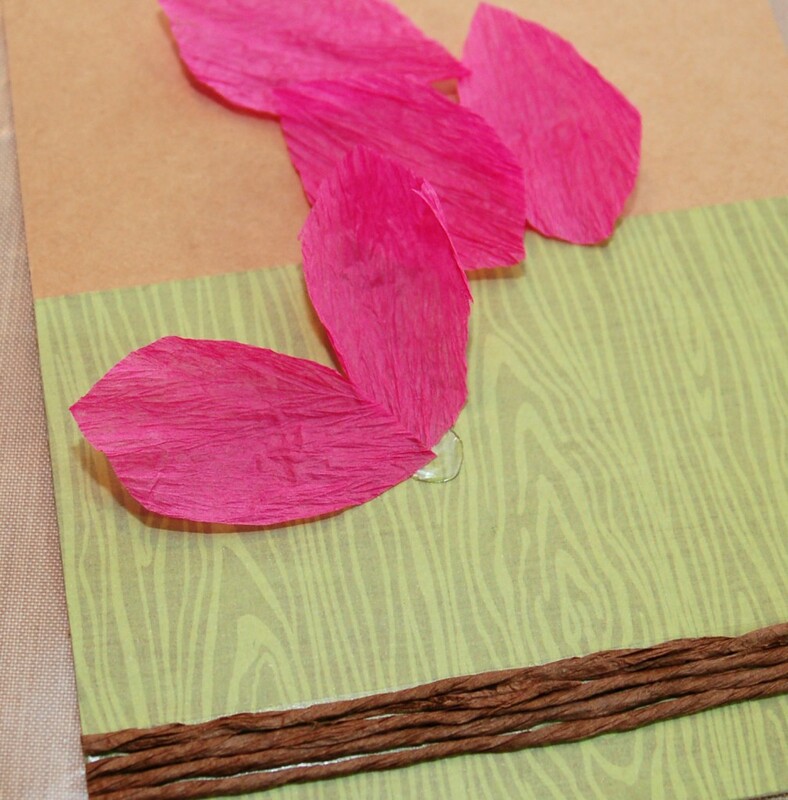 Lastly, I have a card with a tutorial for you! 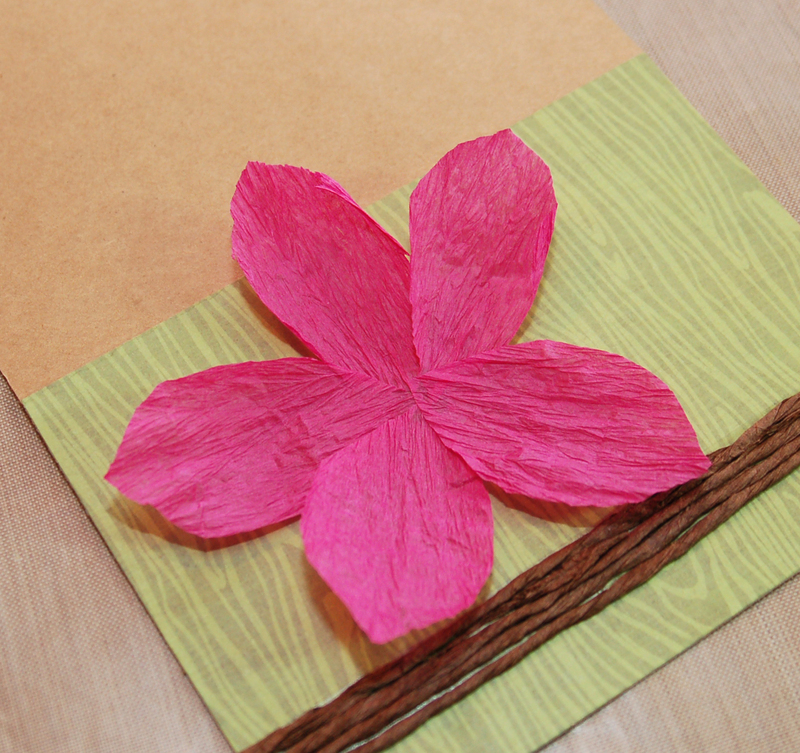 I just thought that this paper twine cording would make a really pretty flower for the focus of a card and I love how it came out. 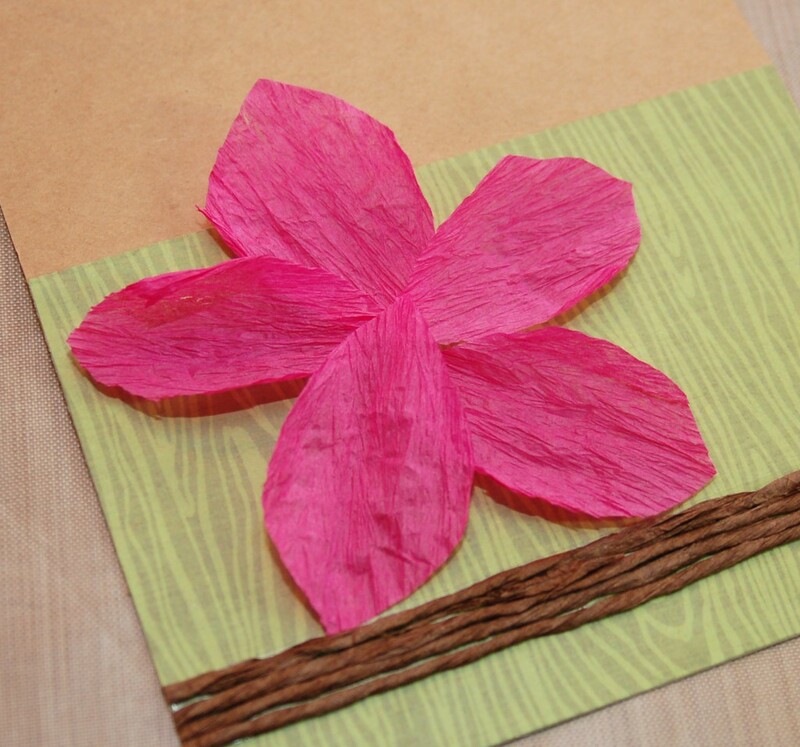 You could easily make one with more petals in different sizes and layers, but this is how I made this one with the basic flower. I had to unwind some of the cording first. 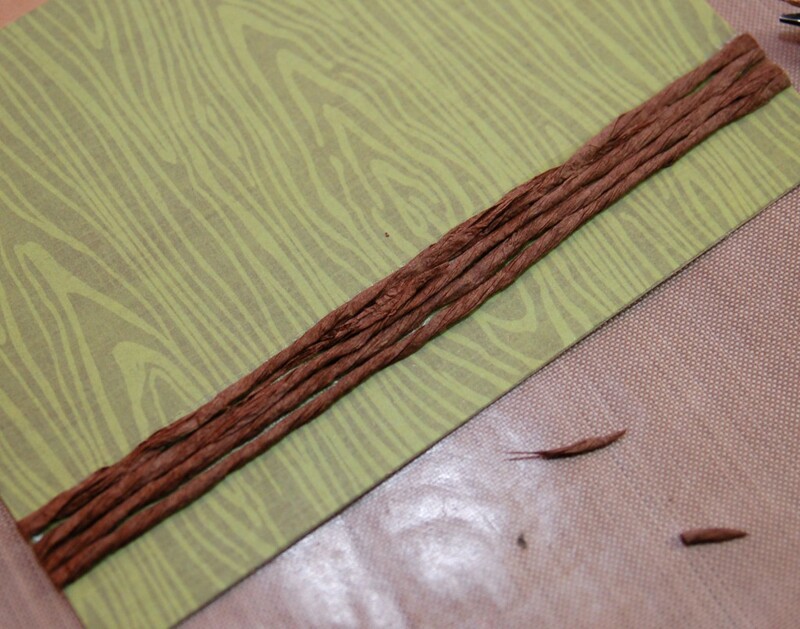 This shows what it looks like before and after unwinding. It isn’t hard, just twist it in the opposite direction that its wrapped and gently pull it flat. 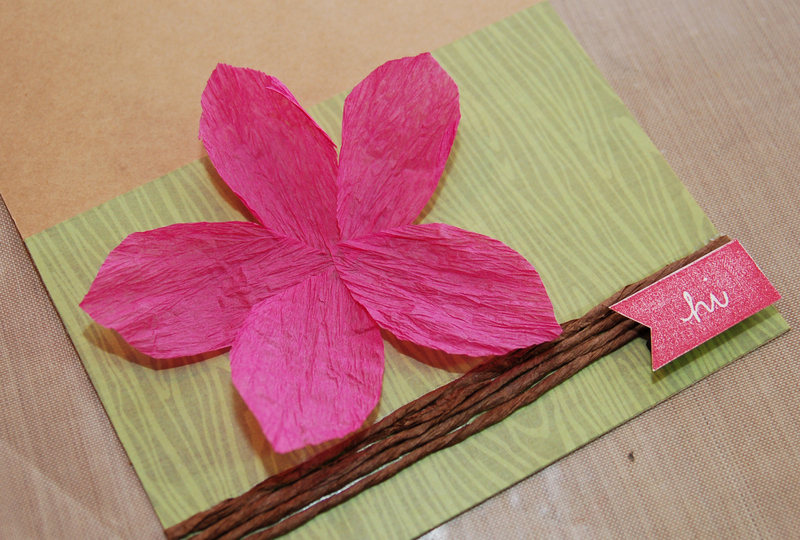 I didn’t use a pattern for the petals, but don’t be afraid. 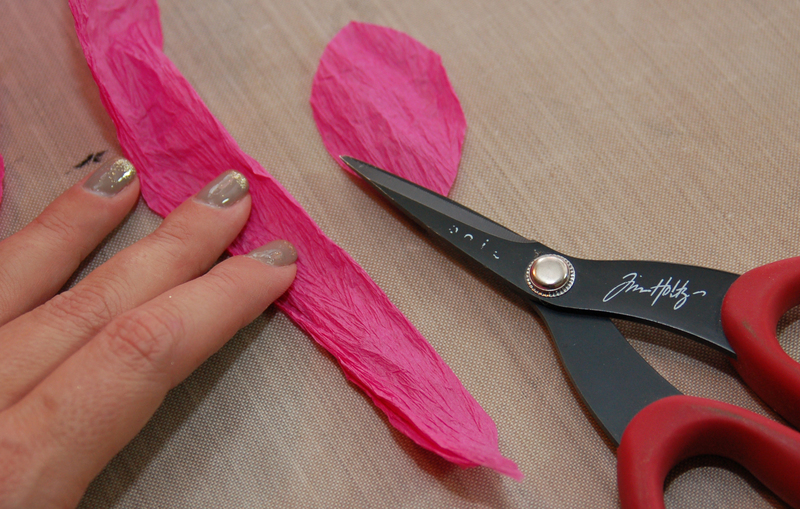 Fold your flattened cording in half and cut the petals out that way. You can keep one nearby so that you can work at getting them all close to the same size, but the wrinkles will hide a lot and the rest can be trimmed later. 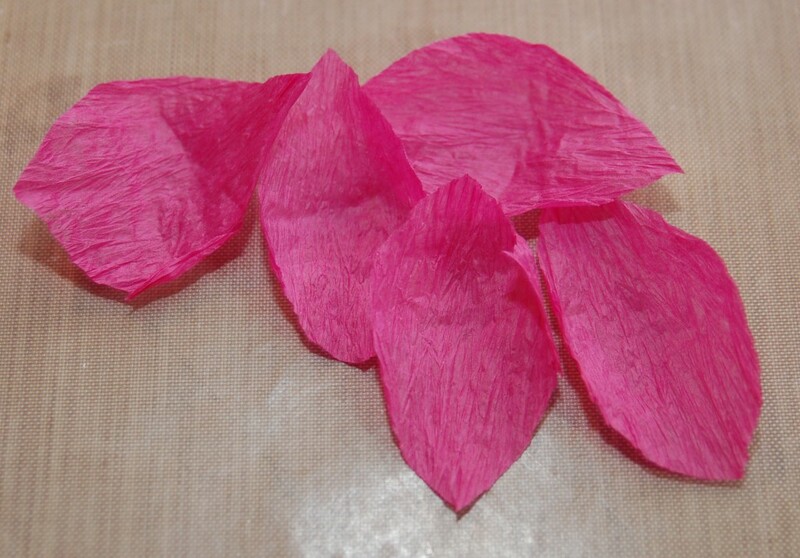 I cut five petals and here they are. Now, I skipped the part where I talk about covering the card base, but I’m sure you all have done that a million times. I prefer to use my Xyron 5″ Creative Station for that step. 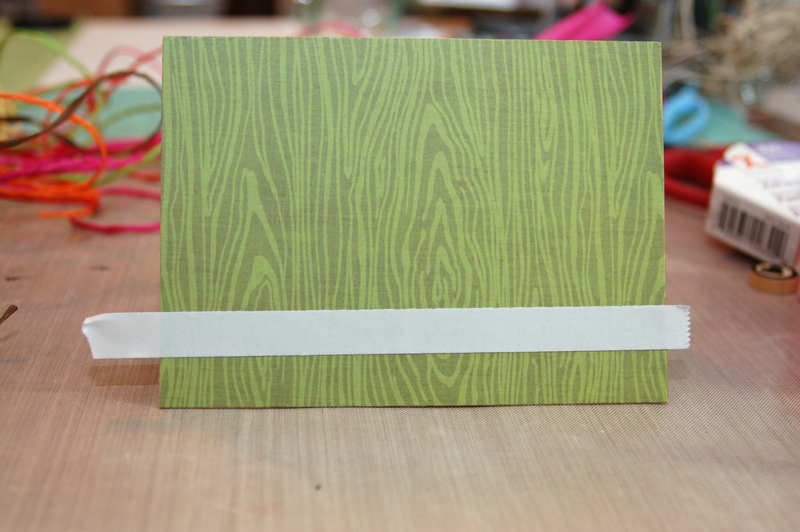 What you see here is a piece of Xyron Double-Sided High-Tack Tape that I attached to the front of the card. It is going to hold my strip of cording here in a sec. 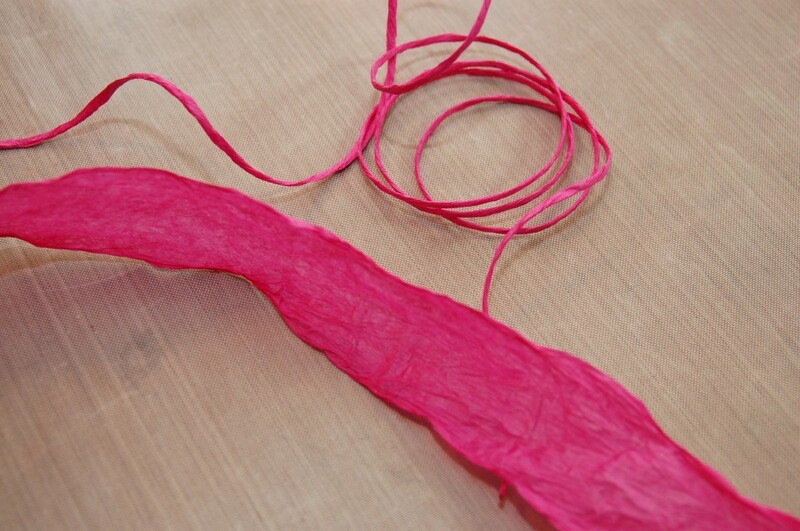 Just start laying the cording down along the tape and trim the ends as you go. When you’re finished you may notice some gaps, and that’s okay. 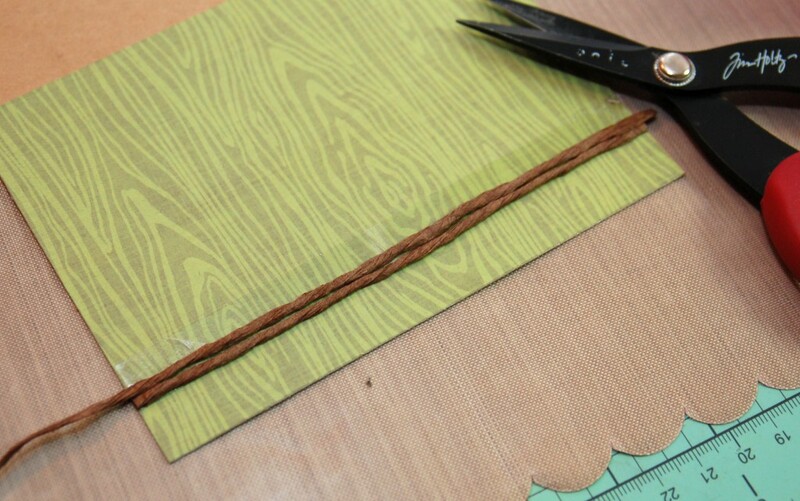 Just fix them by cutting some smaller pieces from your cording and sticking them to the tape in the gaps. I decided to lay my flower out on the card first just to be sure of placement. 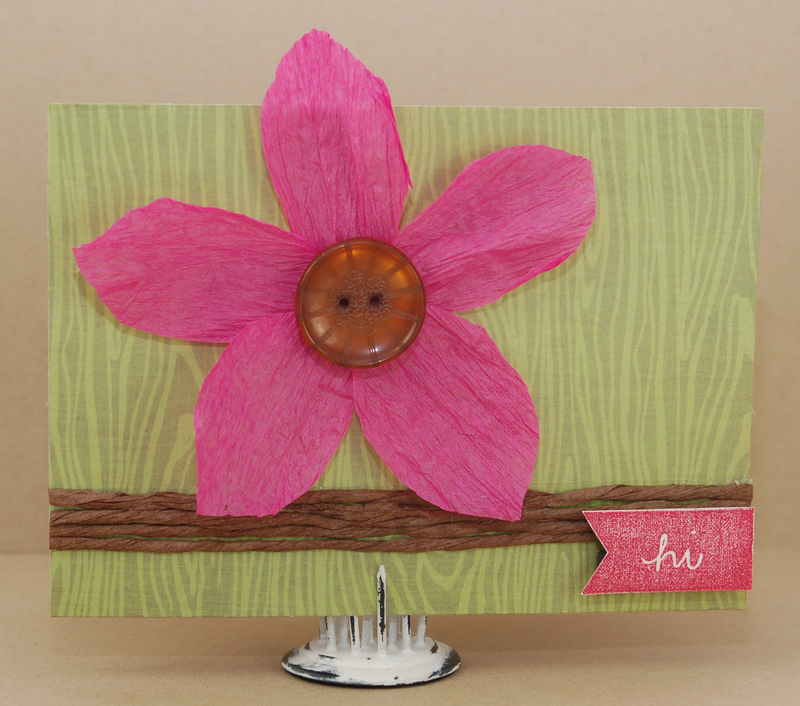 That was good because I attach the flower by placing the adhesive dot on the card first. If you don’t lay it out like I did, you may end up with a lot of overhang. Start placing the petals on the dot, and go around the circle until they’re all attached. My sentiment was stamped on cardstock and cut out, and then I attached it with that Xyron Teresa Collins foam adhesive piece that you can see cut in half up there. That way the adhesive isn’t in the way of the strip of cording. And it looks like that now. I thought the matching fuschia color was fun. 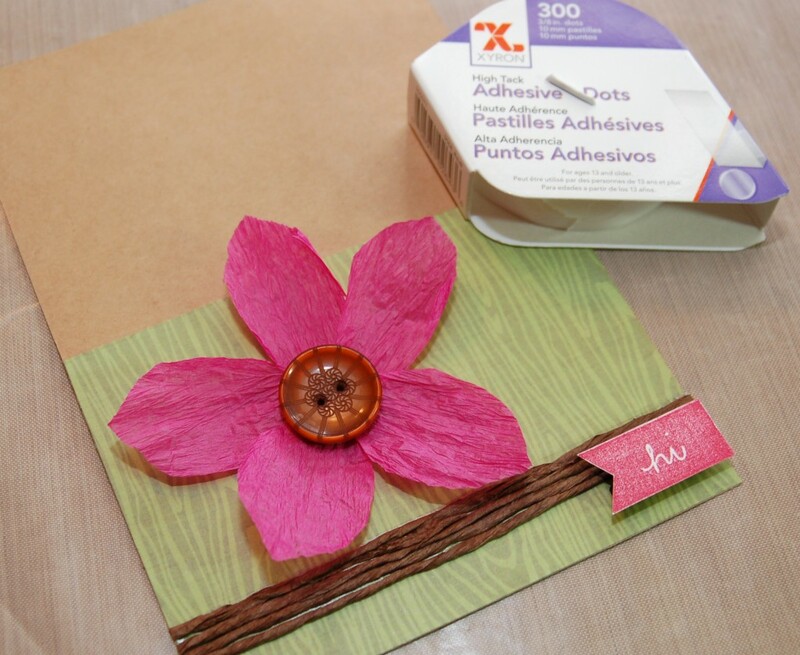 The last step is to attach a flower center. I used a big brown button. I hope you liked the projects and that you for coming by again! 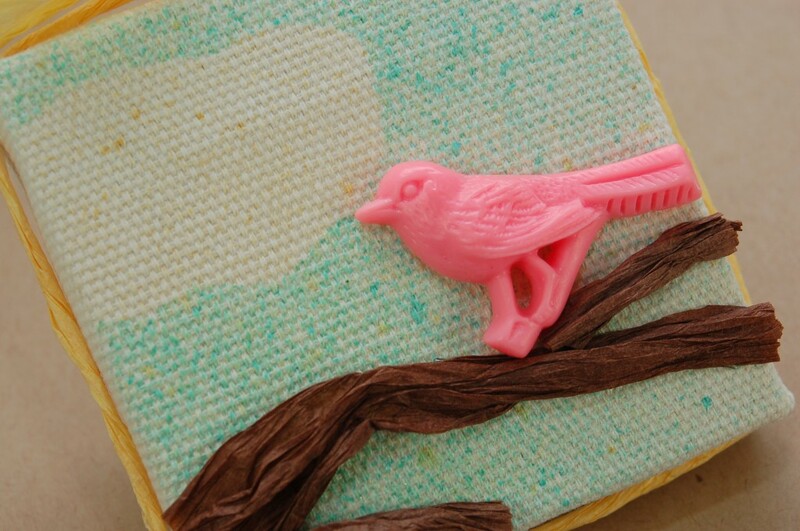 Don’t forget to stop by the Xyron Facebook page and the Ain’t She Crafty Blog to watch for great goodies and prizes!